All those years you thought that the worth of your food should be measured via its calories and nutrients. But if you think looking at kcals, vitamins and the rest is it, you ain’t seen nothing yet. About forty years ago, the first barcodes appeared on grocery items, which made life much easier for supermarket clerks and managers. But while you and I so far believed that these vertical stripes just presented a machine-readable way of checking in and out items at supermarkets, these zebra-imitations did something completely different. They collect negative energy. Because a vertical line is an antenna. Of course his method is rather pedestrian and in Germany, where this whole idea has caught quite a following, we are further. The pros around here use the barcode interference elimination pen (€16.75 / $22.15) or go right for the Hildegard Orgon Accumulator (€1,250 / $1,653). Just place your food on it for about two hours and it’s the same as before entirely cleared of any harmful vibes. 666! The Mark of the Beast! Almost everybody has heard something about this prophecy which says that in the last days no one will be able to buy or sell anything unless they get the “Devil’s mark”. Today we are the first generation with the technology available to fulfil such a prophecy of a “cashless” society. For instance, every item in my shopping basket is barcoded with its own personal identification number. 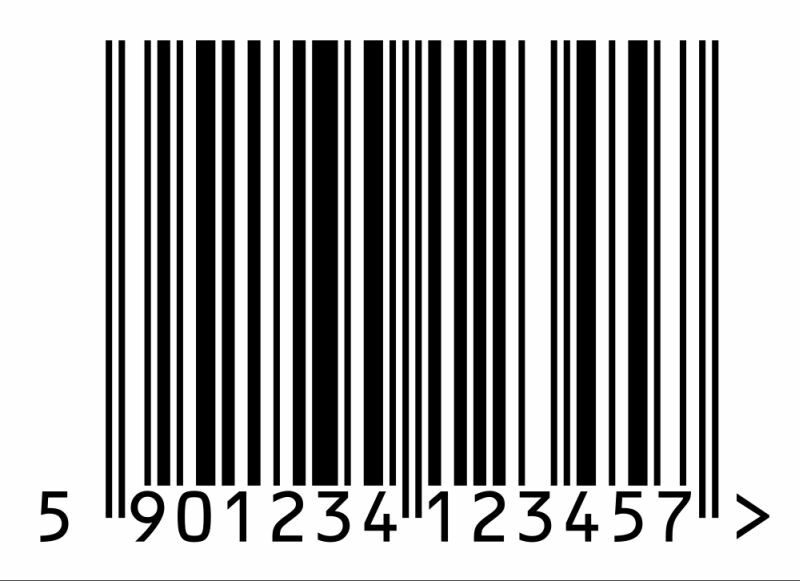 You may have noticed that this barcode, known as the Uniform Product Code System, has 3 unnumbered bars or lines at its beginning, middle & end which are slightly longer than its other bars. All these other lines correspond to a different number. Pay attention to this particular line. It is designated as corresponding to the number six. As you can see, it is exactly the same as the 3 unmarked lines that are also sixes. So every barcoded item is in fact marked with a 666. A barcode like thousand others. Ok, look at the two longer lines left of the 9, between the 4 and 1, and to the right of the 7: these, if you feel so inclined, each represent the number 6. Why? I don’t know. They just do, alright? And no, those lines aren’t there to give the scanner some orientation where the barcode begins and ends. Now stop asking pesky rational questions or I have to assume you already were converted by the Illuminati. Seeing that this hasn’t caught on in North America as much as it should have, I sense a business opportunity. You just wait for my deluxe interference elimination cardboard pyramids ($666, just place the food under one) and all will be well! Pictures courtesy of “Pranavian” and “Sakurambo“. People have way too much time! Entertainment for my Sunday night! what do you think about this personally, Evil? Do you believe this?